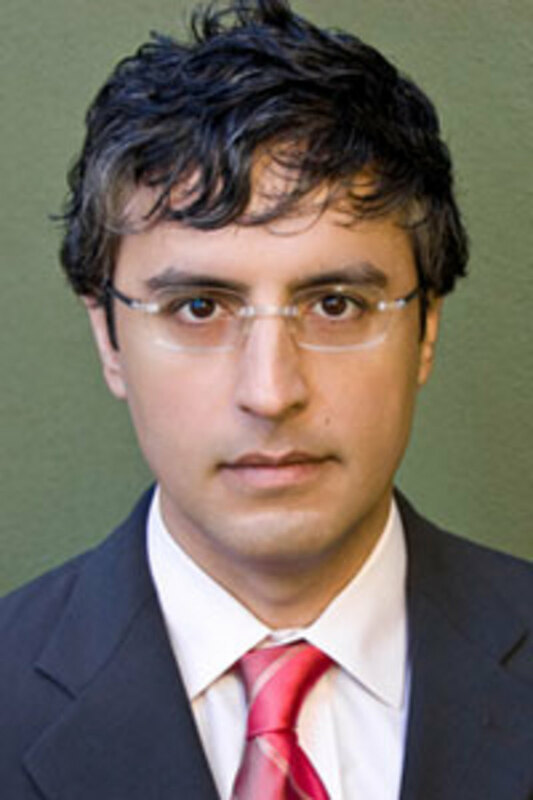 In part two of the Miller-McCune interview with Islamic scholar Reza Aslan, we explore the various manifestations of Islamophobia in Europe, from the banning of minarets and religious clothing to the rise of ultra-right wing anti-Islam parties. Aslan — the author of No god but God: The Origins, Evolution, and Future of Islam and Tablet and Pen: Literary Landscapes from the Modern Middle East, published this month — addresses the mythos surrounding Europe&apos;s Muslim population while offering some positive alternatives to the negative rhetoric and fear-mongering perpetrated both in Europe and here in the U.S.
Miller-McCune: Muslims generally tend to assimilate when they come to this country. This is not the case in Europe. Your thoughts? Reza Aslan: It’s certainly true, but part of it has to do with circumstance. On the one hand, the United States is a country of immigrants, so the process in which new arrivals are integrated into American society doesn’t require organizations, whether government or nongovernment or community groups, to help new immigrants feel more a part of society. There are dozens of such organizations throughout Europe. There’s also a real socioeconomic aspect. Muslims who immigrated to Europe came primarily after World War II, invited as guest workers to clean up the devastation. And for the most part, they were treated precisely as guest workers. They were not given an opportunity to really assimilate into the culture. They were more or less put into ethnically isolated communities and neighborhoods, and they didn’t mind. They themselves really thought this was temporary. They sent a lot of their money back to their home countries. It’s just that they then started having kids and now this next generation that feels as British or German or Dutch as anyone else is still ethnically segregated and isolated. But if you’re a Muslim immigrant to the United States, you came here because you were able to come here. Right away that puts you into a certain economic bracket. In fact, the Muslim-American community is incredibly wealthy. The median income for a Muslim household is higher than non-Muslim households. Sixty percent of American Muslims own their own home. I’m sorry, but the wealthier you are, the easier it is to assimilate. One other aspect I’d add is that the U.S. has a different relationship with public expressions of religions and religiosity than Europe. We are a nation that thinks religion is a good thing and we want religion to have a role in the public realm. So if you’re an observant Muslim, you feel more welcomed in this country to practice your faith and religion however you see fit than [your] counterparts in Europe you do. There are a lot of concrete differences that have created this gap in assimilation patterns between the two places. M-M: So what about banning minarets and religious clothing? RA: Let’s be very clear what’s happening here. Laws are being passed that are stripping away the rights and privileges that all the other religious communities in Europe are able to enjoy. That in and of itself is profoundly disturbing and despicably undemocratic. But the other part of it is that these laws are a joke. You know how many women wear the full-face covering? One half of 1 percent of Muslim women, yet that precludes some Islamization of Europe that requires a federal law. Do you know how many minarets there are in Switzerland? Four! There are four minarets in the entire country, yet that indicates the Islamization of Swiss society. It’s appalling, and it should be called exactly what it is: racist. M-M: So what is causing this recent backlash against Muslims? RA: It’s not that recent. It’s not just a post-9/11 kind of thing. The truth is the fear of Islam in Europe goes very much hand in hand with fear of globalization and fear of the European Union. The ultra-right wing anti-Islam parties that are forming, like the British National Party or the Freedom Party of Geert Wilders, cloak their anti-Muslim rhetoric in this larger anti-European Union rhetoric. The changes in the ethnic landscape of society of which Muslims are the most obvious representation, is what these groups are decrying, but they’re using anti-Muslim sentiments to bolster their arguments. A lot of it has to do with this resurgent sense of national identity. M-M: So what do you say to those who perceive a real clash between the cultural values of the Netherlands, for example, which is otherwise very tolerant, and those of Muslims. RA: They said the exact same thing about Jews before they started slaughtering them. The last time we saw that kind of ultra-nationalist rhetoric and ideology that we see now sweeping through Europe, it was against the Jews. Back then, how did you define yourself as European? You do so in opposition to the Jew. Now you’re hearing the exact same conversations and rhetoric being directed toward Europe’s Muslim population. That’s not to say we can expect another holocaust. Of course not; we live in a different society now. But this rhetoric is no different than what we’ve heard before, and it needs to be called out. M-M: To play devil’s advocate, what about the treatment of women? RA: What about it? If you’re somehow arguing that Islam has a different conception of women in society than Europe does, it’s just wrong. Comparing the Netherlands to Saudi Arabia, OK, that’s fine, but there are as many female Muslim heads of state as there are European heads of state. It’s utter nonsense; and the whole conception that Islam doesn’t belong in Europe; that it’s by definition un-European and violates European values and identities, are statements of people who are trying to figure out for themselves what it means to be European. And they don’t know. I did my dissertation on this very subject. Islam has become the revealer of European identity, precisely the way that Judaism was the revealer of European nationalism in the 19th and 20th centuries. What did it mean to be French or German or Dutch at a time when those ideas were just starting to become nationally defined? It meant not being a Jew. Simple. And that’s precisely what’s happening now. What did it mean to be French, German or Dutch in the face of a European Union that tells you that you must be simultaneously Dutch and European, etc.? How do you define Britishness in the 21st century? What does it mean to actually talk about French values? The answer is pretty simple. It means not being Muslim. So the rhetoric has no basis in any kind of fact or rational argument. It’s merely a visceral reaction to the changing cultural and ethnic landscape of Europe. 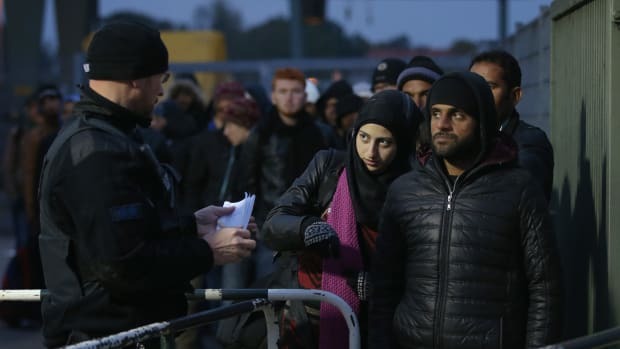 The Dutch actually believe if they could just get rid of the Muslims or just stop Muslim immigration, and then the Netherlands will go back to the whiteness that used to characterize it. And that’s impossible. Those days are over and they will never, ever return. But that’s the mantra of these ultra-nationalists; that it used to be better and we should go back to the way that it was. M-M: Yet this whole idea of a mass migration of Muslims has been etched into Western consciousness. RA: Of the entire continent of Europe, Muslims make up 4 percent of the population. This overheated rhetoric you hear about “The Muslims are taking over! And “Europe is under threat of becoming Islamicized” and that “Shariah is going to overtake European law” is just absurd. If it weren’t fueling such dangerous rhetoric, then your only response would be laughter. This is purely emotional and bigoted with no rational foundation. M-M: But this proves that using fear to promote one’s ideas is highly effective. RA: And the crazy thing about it is that we’re seeing that same sort of playbook, that made European Islamophobia so successful and mainstream on the continent, now being adopted by these groups like Stop Islamization of America and Jihad Watch, which are also very successful about creating a mainstream sense of anti-Muslim sentiment. In the margins of this country there will always be racists and bigots; it’s just that they were always on the fringes; now, hence we have people like Pam Geller and Robert Spencer appearing as regular guests on mainstream television. M-M: So what can be done in Europe or the U.S. to combat this? RA: On the one hand, especially, when it comes to the U.S., this is just how it kinda works around here. In tough economic times and political uncertainty we tend to look to scapegoats to pour our fears and anxiety on. It’s not a coincidence that every single thing that is being said about America’s Muslim community was said about America’s Jewish community in the 20th century and about America’s Catholic community in the 19th century. We passed laws in this country denying Catholics of their rights because people believed that they were un-American. They couldn’t possibly have loyalty to both the pope and the president at the same time. We passed laws in this country limiting how many Jews could come because these political, business and religious leaders like Louis McFadden, Henry Ford and Father Coughlin were saying that the Jews were immersed in a conspiracy to take over the country. We look back at that kind of rhetoric and those individuals with shame and laughter. And that’s exactly how we’re going to look at the Newt Gingriches and the Robert Spencers of the world 10 or 20 years from now. I have no worries whatsoever about the U.S. This is the pattern of the American immigrant experience. You are seen as foreign, exotic and as an internal enemy, and then eventually you assimilate, you integrate into American society and you become part of its fabric and we move on. We find somebody else to pick on. M-M: Are you just saying be patient and wait it out. Isn’t there something we could do to speed up the process? RA: Let me first tell you what we can’t do: that is to provide greater education. As an educator I would love to sit here and say that education is the key and that bigotry comes from ignorance. But that’s just not true. Data, as any psychiatrist will tell you, does NOT change people’s minds. No amount of information is going to convince someone that Barack Obama is not a Muslim. Nothing you say to that person will change his mind. Jesus Christ could come down and proclaim that Barack Obama is a Christian, and it wouldn’t matter. Because it’s not a matter of information or education, it’s a gut instinct that this man represents something weird, foreign or frightening and exotic, and therefore he’s a Muslim. What does change people’s minds — and poll after poll has shown this — are relationships. In fact, the Washington Post Poll in 2008 that showed that half of Americans have a negative view toward Islam also proved that the greatest determinant for a person’s views on this was whether or not they knew a single Muslim. If you just know in the most peripheral sense one other Muslim, then that cuts nearly in half your negative views of Islam because what you recognize, again, not in a rational sense but in an emotional sense, that this person is dealing with the same economic and political anxieties as you are. That they are struggling to feed their kids and get them to college — just like you; that their aspirations and fears are just the same as yours. And just to make this personal: That’s precisely why my focus over the last year and from here on out will be not so much on trying to explain Islam to people or educate them on Muslim culture or the Middle East — I’ll still do that. But my focus is now on the arts and literature, music and television, because the arts are the universal language that can help break down the walls that separate people and cultures in a way that no amount of information can. M-M: And about Europe, what are some solutions for that society? RA: I think that Muslims in Europe have a much bigger uphill battle because of the institutionalization of Islamophobia. The fact that you have laws eradicating religious rights along with successful political parties running almost exclusively on an anti-Muslim platform. It’s hard to imagine those things happening in the United States. But in a way the answer is the same. It is going to be through relationships; it is going to be through the power of the second and third generation of immigrants to find a comfortable reconciliation between their identities, values and mores as Muslims and the values and mores of Europe. But it’s happening. The kind of Islam that is coming out of Europe is so unique, so culturally European that scholars like myself actually have a term for it. We call it “Euro-Islam.” It is a distinct form of European Islam and particularly in this new post-9/11 generation, which doesn’t have the timidity of their parents causing them to want to be isolated from the rest of European society, while demanding their rights as Europeans. That’s the generation that I think is going to shape Europe. But it’s also going to take time.